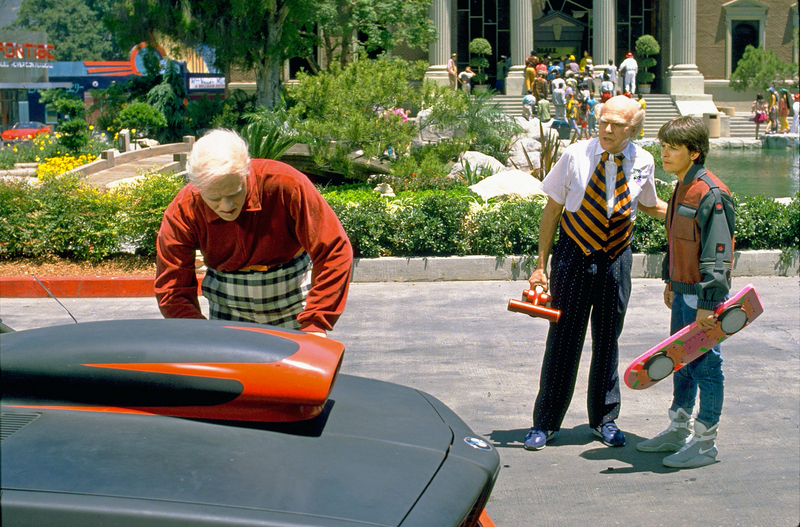 BTTF II: 2015 Mystery Prop! Now, I’m no expert, but what is the thing Terry’s holding in his hand? It’s not his “thumb a hundred bucks” thing; this prop looks enormous (relatively), and I have no idea what it is. It doesn’t look like a parking meter. 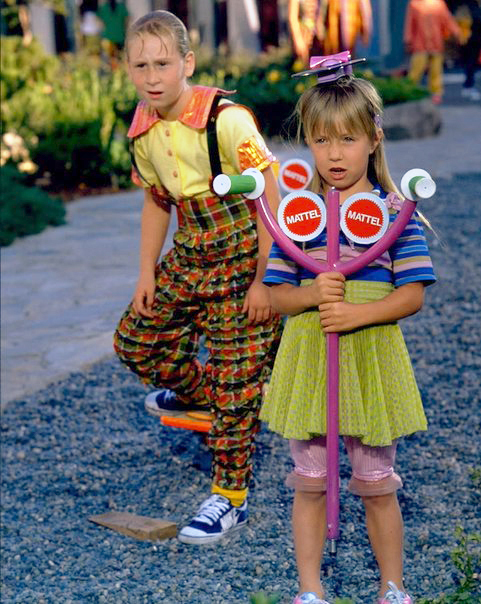 It’s not Griff’s bat, or the little girl’s hoverboard handlebars … Any guesses? Author Staff WriterPosted on October 21, 2015 October 21, 2015 Categories UncategorizedTags 2015, Back to the Future, Biff Tannen, BTTF, Hill Valley, Hoverboard, Marty McFlyLeave a comment on BTTF II: 2015 Mystery Prop! 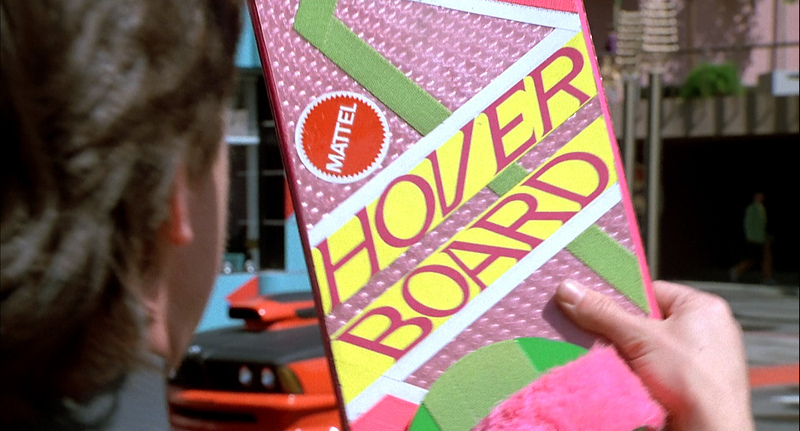 BTTF II: 2015 Mattel Hoverboards! Early storyboards showed this as a Swatch-branded hoverboard. Other concept art showed amn Airwalk hoverboard, and surfboard-sized hoverboards (which can be seen briefly being carried by an extra early in the film). In this frame (above) you can clearly see the (green) Velcro used to hold the lightweight foam boards to the actors’ shoes when hanging from the wire rigging to film the ‘hovering’ shots. And I think that’s a CD player on her head. Author Staff WriterPosted on October 21, 2015 Categories Design, Physical ObjectTags 2015, Back to the Future, BTTF, Hoverboard, Marty McFly, MattelLeave a comment on BTTF II: 2015 Mattel Hoverboards!